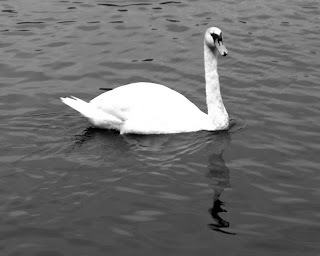 Swans are pure elegance as they glide across a river. While we don’t feel the ease and confidence that seems so natural to a swan in all moments, each of us is blessed with our own inner compass. It beats in our chest and tells us to keep paddling even when we are not sure where we are going. With determination and faith a courageous heart grows. We learn that it is OK to struggle sometimes, to even make waves. With practice we discover our own way to grace. I have just been sending out some emails, most of them with the word "grace" in the subject line. Trying to explain my absence, trying to weave and unravel and glide. love to you. you live grace and give it in abundance and for that I am forever grateful. Keep shining. Lovely photos Laura, and I keep paddling! The grace of swans is a wonderful expression of your comforting words. We need to glide and yet make waves when needed. Lovely reflections. Great pictures of beautiful birds - lovely reflections! yes - it's ok to struggle sometimes...thanks for the reminder...i tend to forget..
all that matters is that we are in the water and we are paddling!! lovely photo's...have a wonderful weekend!! Blessings of grace and ease upon us all! Lovely reflections of such a beautiful swan and duck and a perfect match for the wonderful words! Great post for the day! Enjoy your weekend, Laura! What lovely, graceful photos Laura. Three wonderful photos and I like something best about each one. The top is such a beautiful bird, the middle has great looking concentric circles and the bottom has an excellent reflection! I'm good at paddling and even at making waves. But, darn, I always wanted to be that graceful swan! The second shot intrigues. 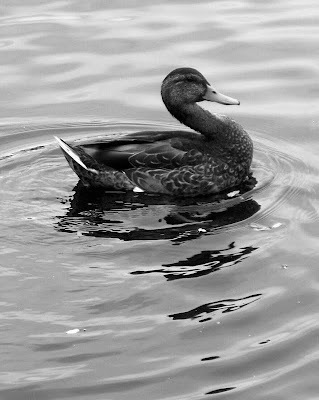 The dark duck against the lighter water is counterintuitive, which is probably why I like it so much. A timely post for me too, Laura. Your words had me reaching for "Traveling Mercies" by Anne Lamott, page 143 where she writes, "I do not at all understand the mystery of grace - only that it meets us where we are but does not leave us where it found us." Amen and thank goodness. Very beautiful words and photography. nice...with practice we discover our way to grace...love that line and how true..
Lovely words and photos. I love the textures, contrast, and pose in that second one especially. Thanks for this very poetic pictures Laura. Beautiful photographs and words Laura. So true too! Laura, Beautiful post! I totally agree. Grace is my best friend. Beautiful photos, I love the encouraging words also. Lovely images and I have a really nice browse around your blog. You found some good reflections to illustrate your verbal reflection, Laura. Grace and ease - may we all enjoy them as they become available to us. Swans are great teachers, aren't they? As a ballet student, I danced in Swan Lake, trying to express the peaceful gracefulness of a swan, my white tutu and feathered headpiece helping with the illusion. Keep paddling and enjoy the times when we can float along. There are plenty of days I wish I were better at this. Thank you for this beautiful post. God bless. Catching up today on the posts I've missed in the last couple of weeks. I'm soothed and comforted by your gentle words, incredible insights, and gorgeous photos. It's amazing how swans can teach us human beings a valuable lesson in life! This is a very graceful post. Makes me ponder our actions during our everyday life. Beautiful thoughts. The changing of the seasons brings introspection that is, I think, good for us! I love how you return again and again to the shelter of your own heart for answers. Mother Nature does a pretty darned good job of guiding you there. Lovely. 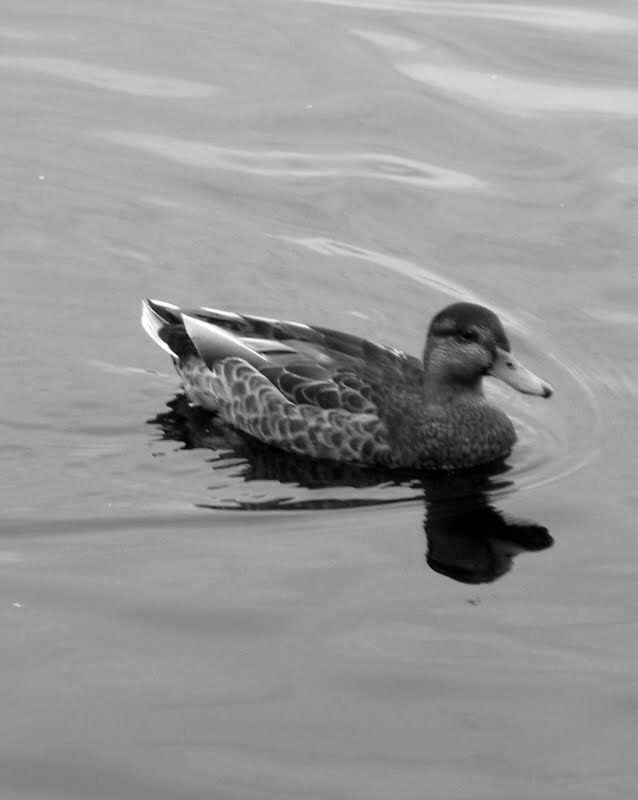 My favorite is the second image -- the duck. What a talented woman you are. I am grateful to have found you. And I must keep practicing grace. Thanks for this Laura. Your posts are always filled with such hope and spirit. Laura, I've said this before about your blog and writing, and I will say it again. Everytime I come here, I feel at peace, wiser (from your wisdom) and renewed. You are a remarkable woman and writer. Peace to you, dear, dear heart. Grace is nice to look at, even nice to feel; yet often it is struggle that leads to stretching our comfort zones, feeling alive, evolving our souls. Lovely reflections, Laura. I will again visit you soon. I can't seem to get to your latest posts. I click on it in my blog list, or try through Google reader but I always end up here, Sunday Sept. 18.